so much fun to direct. Really enjoyed the entire production from beginning to end. For a start the design of the characteristics of the Sea Devils was a pleasure - The designer, Tony Snoaden and I, together with Maggie Fletcher, the costume designer, did a lot of research and thinking about how they should look - Eventually we decided that they were related to large amphibious turtles - These creatures live in the sea but also come ashore. They can be aggressive and dangerous - that beak can inflict real injuries and they are very resilient and hard to kill. 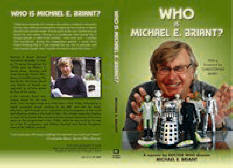 When the publishers Classic TV Press asked me to write these memoirs I was very flattered but somewhat unsure. The title sums up the question I have been asking myself for years. I know that Terence Dicks, the story editor, is very critical of their 'dresses' but I am still convinced they are right - to be fair to the costume designer we had run out of money just making the five 'bodies' but she had very imaginatively had purchased an inexpensive roll of netting. On the first day of filming I protested I was not prepared to inflict stark naked Sea Devils on a family audience. She sighed and issued each 'Sea Devil' with a length of netting and cut a hole for their heads - Voila! A Sea Devil suit and ethnic! - I also believe the less you see of a monster the more intimidating it is and the first thing progressive civilizations do is to start covering more and more of their bodies even in warm or wet climates. The other innovation was their weapons - I really did not want another version of modern guns - when one day we are attacked by creatures from outer space you can be certain they are not carrying AK47s or have GPS guided missiles - don't know what they will fight with but it will not be made in this world - the idea of the disc - which fired some sort of charge felt very good and the concept of using flash powder effects (as in pantomime or early photography) seemed good. The only problem was it took a long time to re-load and there was only one round - I solved that problem in REVENGE OF THE CYBERMEN by having 4 flash powder tubes in each head. The locations were all places I knew on the Solent but had never visited - the fort off Portsmouth Harbour - now an hotel I think, Carisbrook Castle on the Isle of Wight, and the gunnery school at Whale Island - loved the hovercraft with the machine gun mounted on it's roof and the little speed boats were great - Roger Delgado - The Master - could not swim and was frightened of water. A very brave man. He drove the boats for close shots - he wore the submarine escape suit and got in the water. The shot of the Sea Devils coming out of the sea was really difficult to get - it had been my intention to do lots of shots - single Sea Devils - 2s 3s 4s so that I could cut it all together and make it appear to be an army arriving. They were all stunt men in the location costumes but the problems of the masks and the costumes filling with water and nearly drowning them cost so much time that I had to be satisfied with the 5 shot of them walking in from the sea that I had. There was originally a cliff abseiling sequence for the Doctor and Katy but when we came to shoot it there was a thick fog and you couldn't see half way up the cliff. The unflattering shot of Katy climbing up the ladder of the fort from the boat was caused by the fact it was too choppy and dangerous to let Katy do it herself. Stuart Fell the stunt man and Sea Devil extraordinaire had a double of her costume for the abseiling sequence, he did it - I had not realised he had twice the amount of backside. 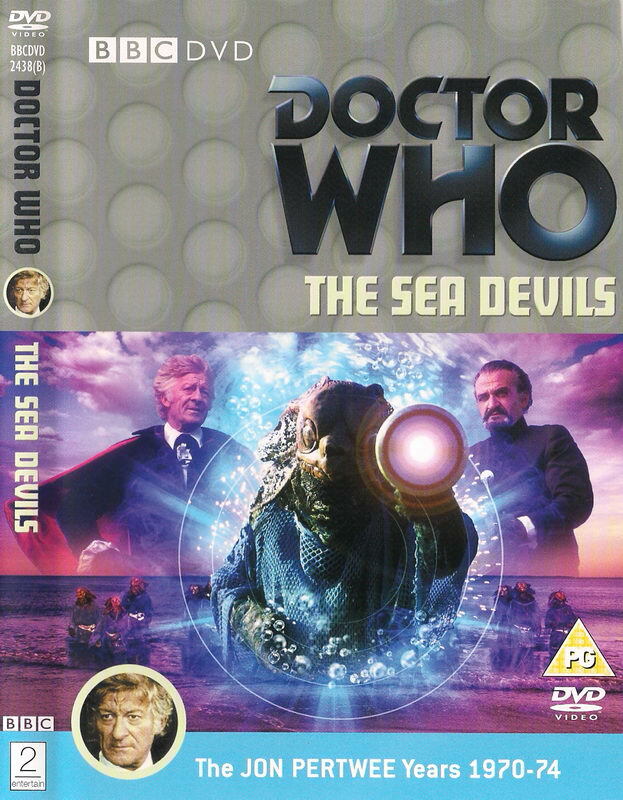 On the whole I thought the Sea Devils story worked well.